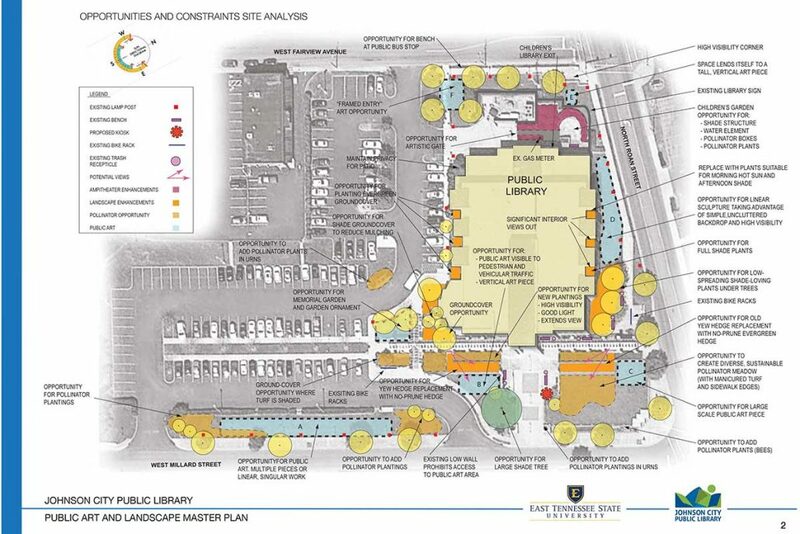 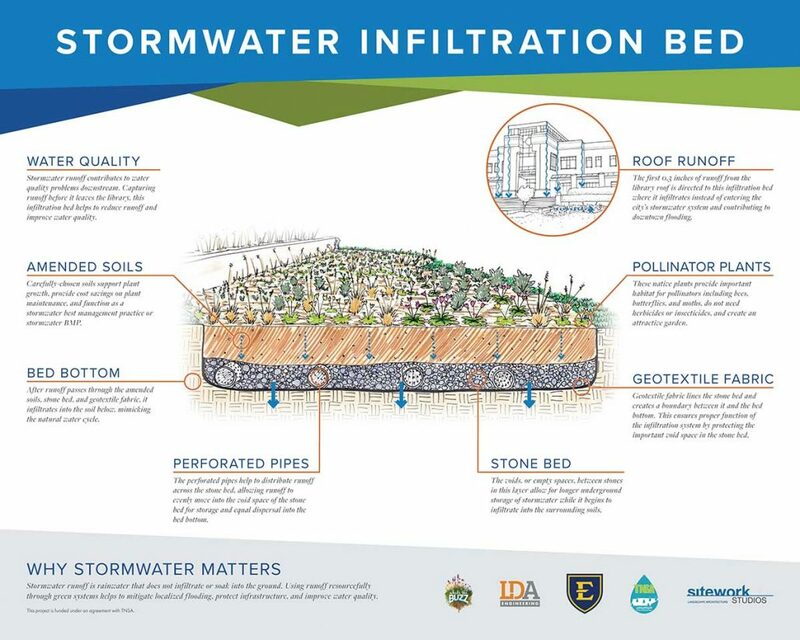 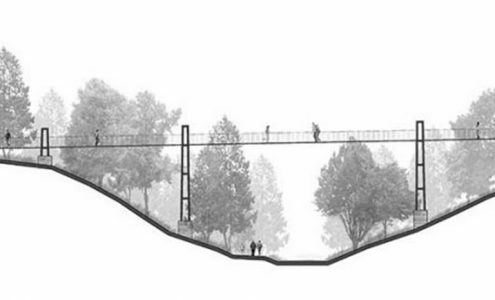 Sitework Studios led a collaborative effort between the Johnson City Public Library and East Tennessee State University to produce a “Public Art and Landscape Master Plan” for the Library. 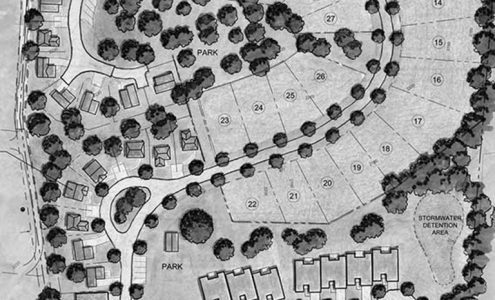 The master plan identified eight locations for site-specific art and provides submission guidelines for proposals. 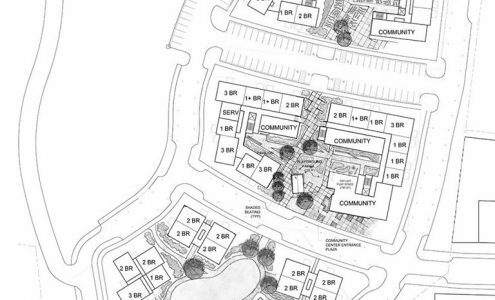 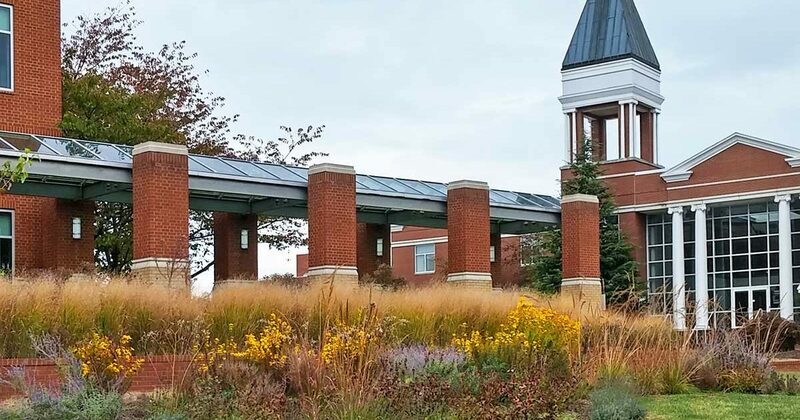 The plan also proposed recommendations to transform the Library’s existing amphitheater into a daytime events space for children as well as and evening venue for the community at large. 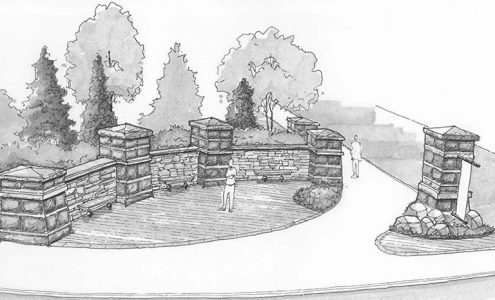 The redesigned amphitheater features a pollinator garden, a prominent shade structure and water feature. 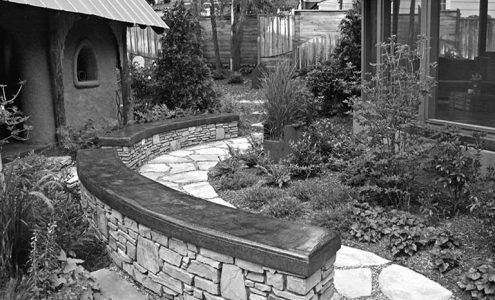 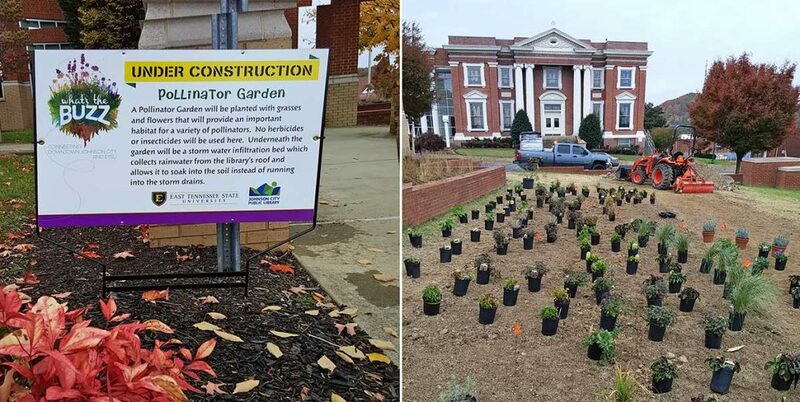 The Master Plan proposed a pollinator garden in front of the Library as a link along Johnson City’s Pollinator Corridor, and makes recommendations to enhance the site’s existing plantings for cost and maintenance reductions.